Dr. Vuk Jovanovic is double board certified in Obstetrics & Gynecology and Reproductive Endocrinology by the American Board of Obstetrics and Gynecology. He specializes in both Reproductive Endocrinology & Infertility and Obstetrics & Gynecology. The reviews listed below were collected independently of Tree of Life Center through rater8. Each review represents an authentic and verified patient experience. Dr Jovanovic is an awesome doctor and I highly recommend him. He's been my dr w/ three pregnancies and is highly-skilled, kind, and attentive to patients. I've had friends go through IVF at other clinics and they were not as happy w/ their clinics. Very sweet doctor and staff is amazing as well. I think Dr. Jovanovic represents the best kept secret in the IVF market. He is very carrying and took his time to provide thorough explanations to our concerns. We’re happy meeting him! He’s energy is very comfortable, sounds like he’s happy with career choice and very helpful with questions and finding out. Dr.Jovanovic is very knowledgable. He gives us information that other REs have not. We have not had a procedure done with Dr. J yet, but have total confidence in him. Beat doctor and a human being I have ever met. His kind and calm nature makes the whole process so much easier. Truly reccomends him!!! He is the best! 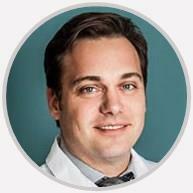 Dr. Vuk Jovanovic completed his fellowship training in Reproductive Endocrinology & Infertility at Columbia University in New York City and residency training in OB/GYN at Duke University in North Carolina. Dr. Jovanovic is double board certified in Obstetrics & Gynecology and Reproductive Endocrinology by the American Board of Obstetrics and Gynecology. He is the medical director of the Tree of Life Center for Assisted Reproduction in Tarzana, California. In addition, he is also double board certified in Obstetrics & Gynecology and Reproductive Endocrinology in Germany. He completed his medical school at the Johannes Gutenberg University in Mainz. He is a multinational physician that has trained and worked in several countries and has treated patients from all over the world. Having had the experience of being a fertility care provider in different countries while utilizing an extended repertory of fertility drugs (some not yet marketed in the United States) made Dr. Jovanovic a hard to match expert. He has managed thousands of IVF cycles in the United States and Europe. He fluently speaks German, Serbian and Russian. He is licensed to practice medicine in the United States, UK, Germany, and Spain. He is well connected in Germany, Russia, Japan, India, Thailand, Israel, and China. Regardless from where you will be coming, you can expect only the highest quality care. Dr. Jovanovic is a member of the American Society of Reproductive Medicine (ASRM) and the European Society for Human Reproduction and Embryology (ESHRE) and actively attends meetings on both continents. Apart from his expertise and excellent success rates, he will provide compassionate and personal care to every single client. He has helped numerous couples in the United States and across the world achieve the dream of parenthood and is happy to serve his patients in Southern California and beyond.